Here at Hearing Aid Services of Mississippi, we pride ourselves on providing the very best possible customer care you can experience. Serving the tri-county region since 2010, we provide superior products to residents here in the Golden Triangle and throughout all of Clay, Lowndes and Oktibbeha Counties. Located in Columbus, we see patients from Starkville, West Point and beyond, looking to us for specialized, custom care, and our comprehensive line up of hearing aid products from some of the most prestigious and respected manufacturers in the hearing loss world. We feature great products from Resound, Phonak and Starkey as well as Widex, Siemens and Oticon. This expansive product offering gives us the flexibility to choose from a wide variety of options to help with your particular hearing loss need. You see, no two cases of hearing loss are alike. Yours may be congenital, environmental, age related or as a result of a trauma. It could be in one or both ears. Whatever the reason or severity of your hearing loss, here at Hearing Aid Services of Mississippi, we have a solution that will work best for you and your lifestyle. Every patient receives a custom fitting and is treated as an individual. There is no one-size-fits-all at Hearing Aid Services of Mississippi. We provide services for all ages, and service the veterans free of charge. 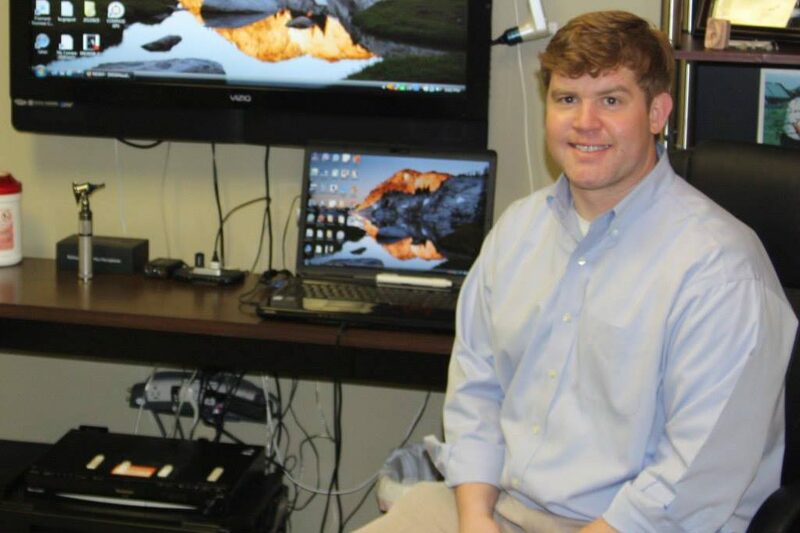 Sam Ford, our Hearing Instrument Specialist was diagnosed with sensorineural hearing loss at age 4, so he can relate and understand the particular needs of individuals with hearing loss. We offer free hearing evaluations and consultation here in our Columbus, MS office, as well as an on-site repair lab, all accessories and batteries and custom hearing protection products including ear molds. We have financing options available to best fit your budget, and unlike most hearing aid sales and service centers, walk-ins are welcome. Welcome to Hearing Aid Services of Mississippi!